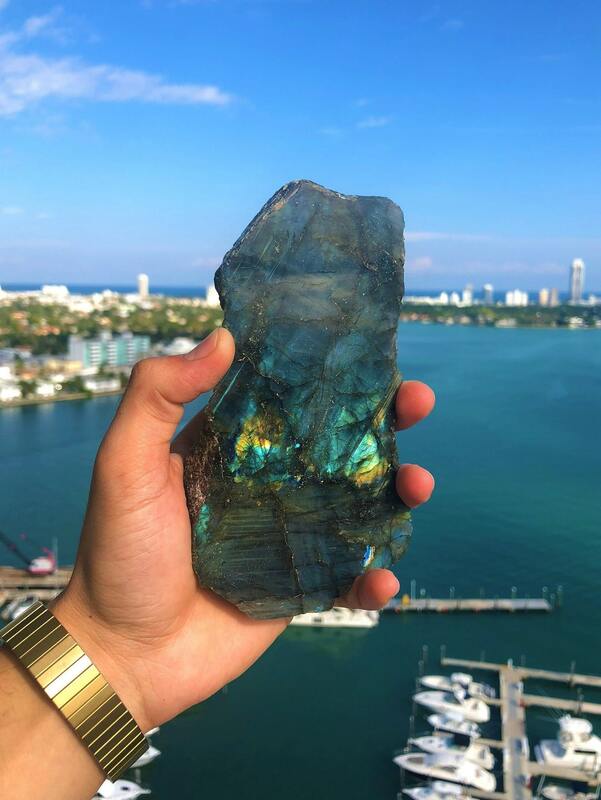 Receive this Gorgeous Large Labradorite Healing Crystal Stone. 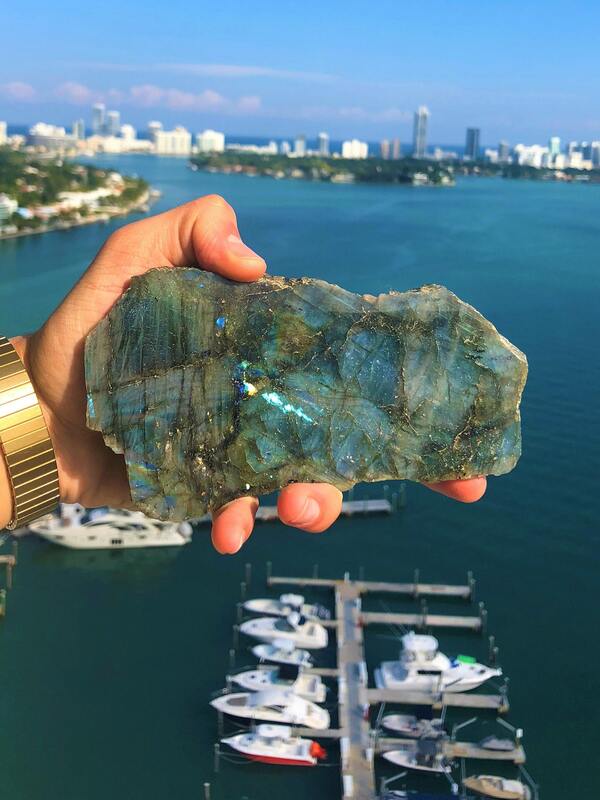 This unique labradorite has a mesmerizing blue-greenish colors with many different variations as seen in images. You will receive the EXACT Labradorite Crystal in the pictures. I took as many photo angles as possible. 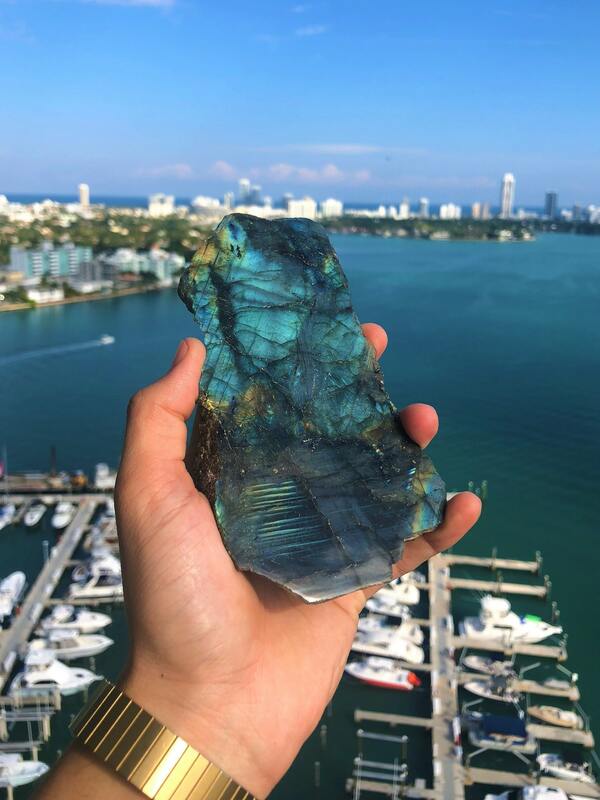 Labradorite stone is connected to your third eye chakra and is a very powerful stone. This gemstone is a stone of magic and mysteries and is a great stone for psychic development as it can help you tap into your clairvoyant abilities and strengthen your bond with the Divine. 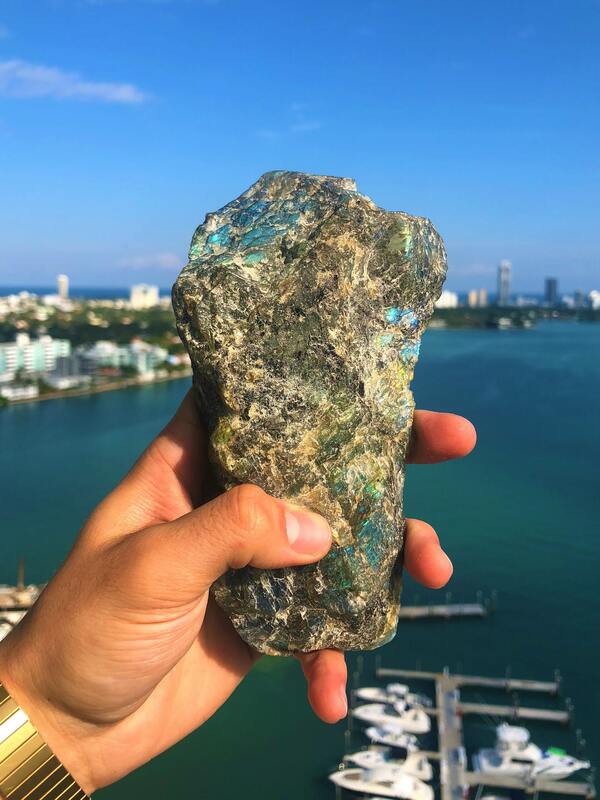 The Labradorite stone can stimulate your spiritual growth and make it easier for you to listen to your intuition and use your telepathic abilities. 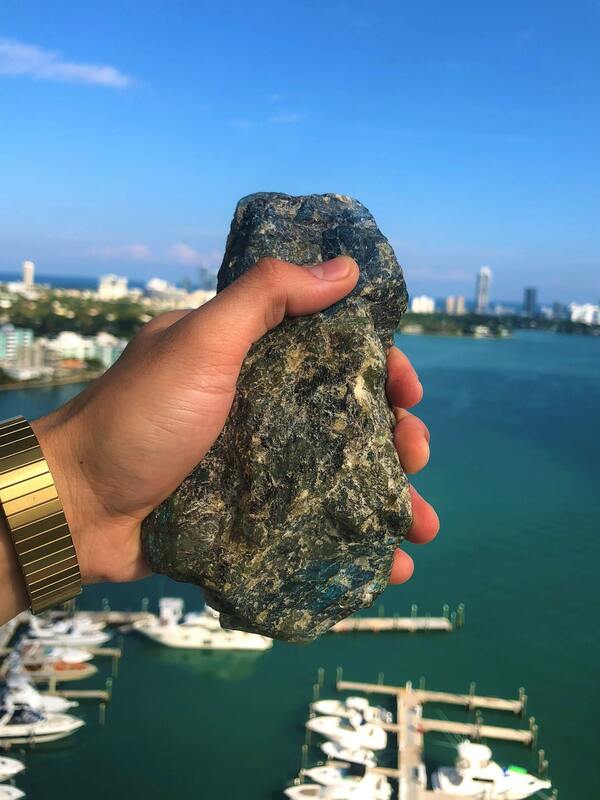 The stone is used for any type of spiritual work and will greatly amplify the psychic energies in and around you, making it easier for you to create a strong connection to the universe.